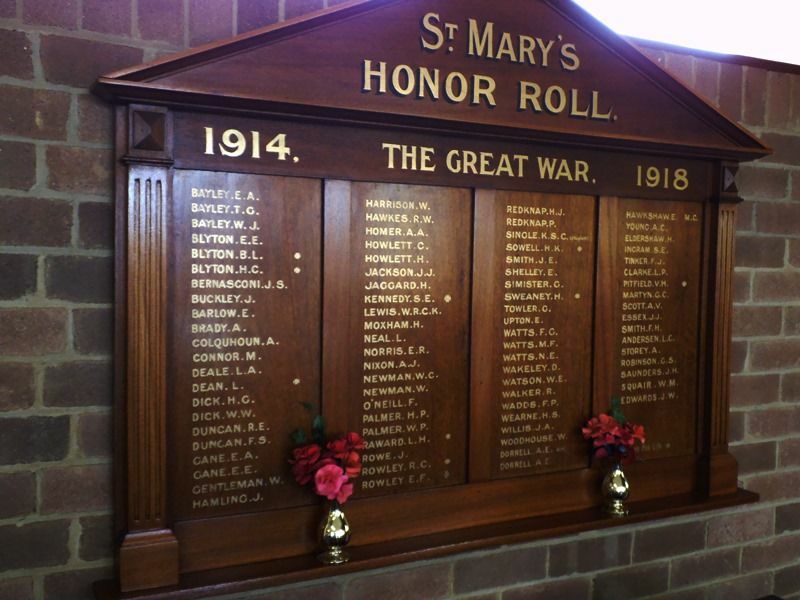 St. Mary 's Church of England presented a remarkable scene on Sunday afternoon at the unveiling of the splendid honor roll by Sergeant George Howell, Victoria Cross hero and Military Medallist. Fully 200 people were unable to get inside the building. Miss Ackland (contralto, Conservatorium) and Mr. Cousins (Mosman Choral Society) rendered with much expression “The Lord is My Light” and “The Resurrection Morn.” The Auburn Model Band supplied the music. Sergeant Howell, V.C., M.M., who performed the ceremony of unveiling the honor roll, was received at the station (decorated with flags in his honor) by Rev. W. H. Croft, Minister-in-charge, and driven by Alderman Swift in his car and, preceded by the band and district and Lidcombe Scouts, proceeded to the church. Chaplain-Major Single (recently returned from France) was the preacher and delivered a very forcible address. As Sergeant Howell, V.C., M.M., released the Union Jack the 'Last Post' was sounded by the sergeant of buglers, Liverpool Camp. Sixty-five names are recorded on the honor roll, which number is most creditable for the size of the district. It is of handsome design in polished maple, and is the combined work of Messrs. Mortlock, Mulley and Poulton. Messrs. Mortlock, Mulley & Poulton. 1914. THE GREAT WAR. 1918.